Beacon College admits qualified students transferring from other institutions of higher education. To receive transfer credits, transfer students are required to present official transcripts from the transfer institution(s). Catalog course descriptions or course syllabi may also be requested. Official documentation must be submitted prior to the end of the first academic term. 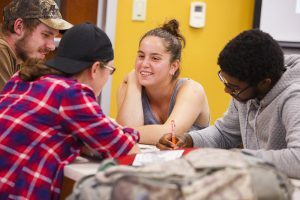 Beacon College accepts credit only from regionally accredited institutions and programs and will not award credit based on training provided by non-collegiate institutions, professional certification, or experiential learning. Beacon College evaluates and accepts transfer credits on an individual basis.  Credits can only be awarded in areas offered within the current curriculum of Beacon College and must relate appropriately to the student’s educational program. The College does award credit based on ETS advanced placement when the grade is equivalent to a C or above. The Transfer Credit Practices for Designated Educational Institutions Guide is used for assessing and documenting equivalent learning and qualified faculty from other institutions. Beacon College reserves the right to deny credit for specific courses. Once the official transcript has been received, the transfer student’s academic advisor will review and evaluate the transcript to determine which course credits may be transferred to Beacon College and if they can be used toward program requirements, minor requirements, general education requirements, or elective credits. The Registrar will notify the student of credit accepted within five (5) days of receipt of the official transcript. The transferability of Beacon College credits to other colleges and universities is at the discretion of the accepting institution. It is the student’s responsibility to confirm that credits will be accepted by the college the student is transferring to.